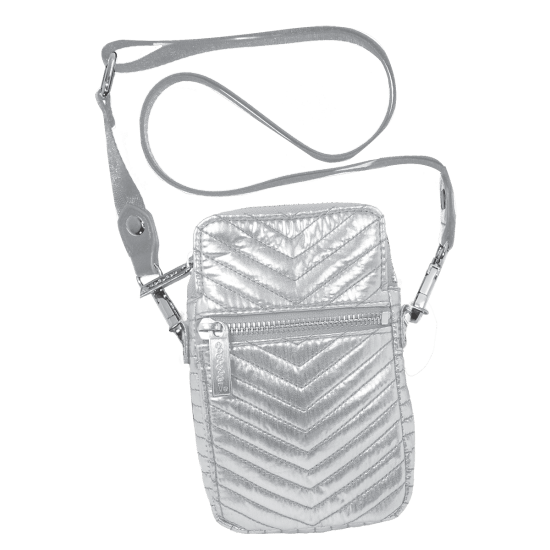 Our silver chevron cell bag is cool as can be. 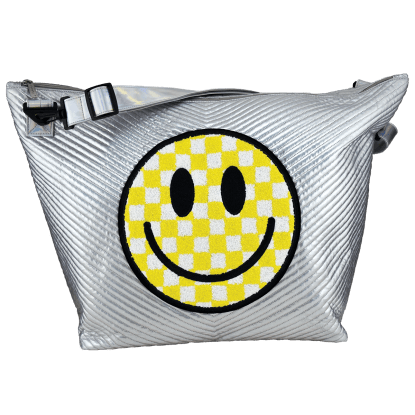 Quilted metallic material gives this tiny little bag a fun, fancy kick. 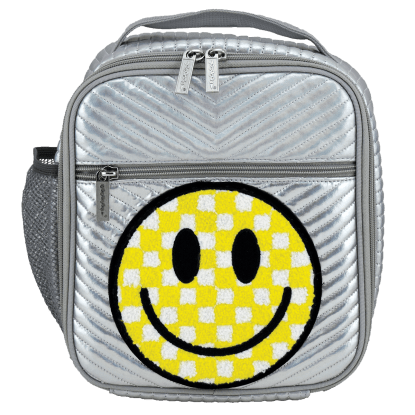 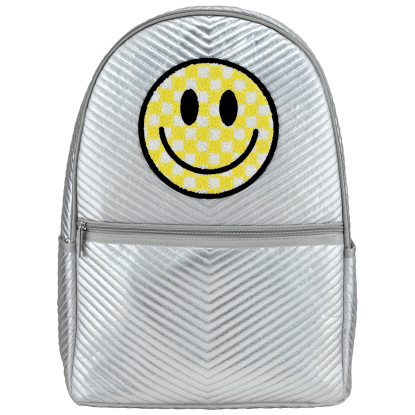 With an adjustable, removable shoulder strap, zippered pockets and card slots, it's a fun alternative to a bigger purse when you go to the movies or shopping with friends.